A 17-year-old Zimbabwean boy, Chinhengo Timothy has reportedly killed himself after he found out that his 37-year-old sugar mummy was cheating on him. Chinhengo committed suicide in police cell after he was arrested for stabbing his older lover, Patricia Chiweshe, to death, H-metro reports. According to the report, Timothy, from Landa’s business centre in Chihota trailed his lover and saw her coming from a toilet in the company of a man, at the weekend, when he approached them and stabbed his lover several times. 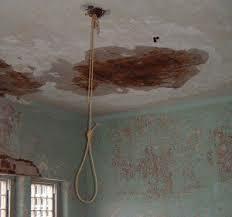 The Police spokesperson, Siphiwe Makonese, who confirmed the report, was quoted to have said Timothy was arrested afterwards and hung himself at Mahusekwa police station in a cell using a strap from the blanket cell. Timothy’s aunt, Sarah Mhondiw, speaking on the incident, recounted how she tried to stop him from dating the cougar but he was said to have been adamant. Mhondiw said, “I really don’t know how to explain this to his parents , who left him in my care .